A minor expansion for the city of Falkreath. Provides additional housing for 2 NPCs. Convenient Carriages For the optional patch. 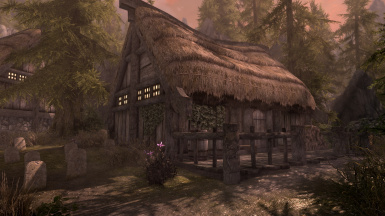 Like so many other towns in Skyrim, NPCs have been doubled up in housing or simply not given any at all and occupy space at the inn forever. 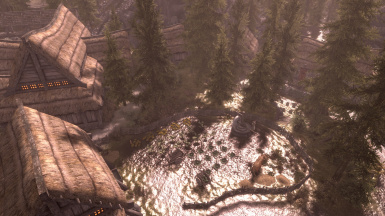 Falkreath is already fairly large and space is limited, but there was enough available to provide homes for Kust and Valdr in a part of the city that wasn't occupied by anything other than trees. * Homes provided for Kust and Valdr. * Both houses are radiant quest enabled. * Both NPCs can be married and elect to share their home with you. * LOD has been generated. Then simply make sure it has the mod activated. Drop the Falkreath.esp and Falkreath.bsa files into your Data folder. 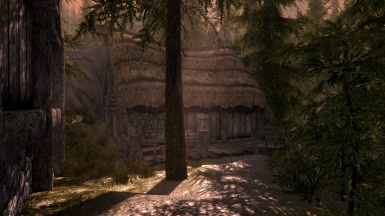 To remove the mod: Delete the Falkreath.esp and Falkreath.bsa files from your Data folder. Then reload your game as usual. MUST load after Immersive Citizens to preserve navmesh integrity within the city. Must also load after Clockwork, or the Clockwork.esp file cleaned of stray navmesh edits.